Traditional Buttertart family heritage recipe from late 1800’s! 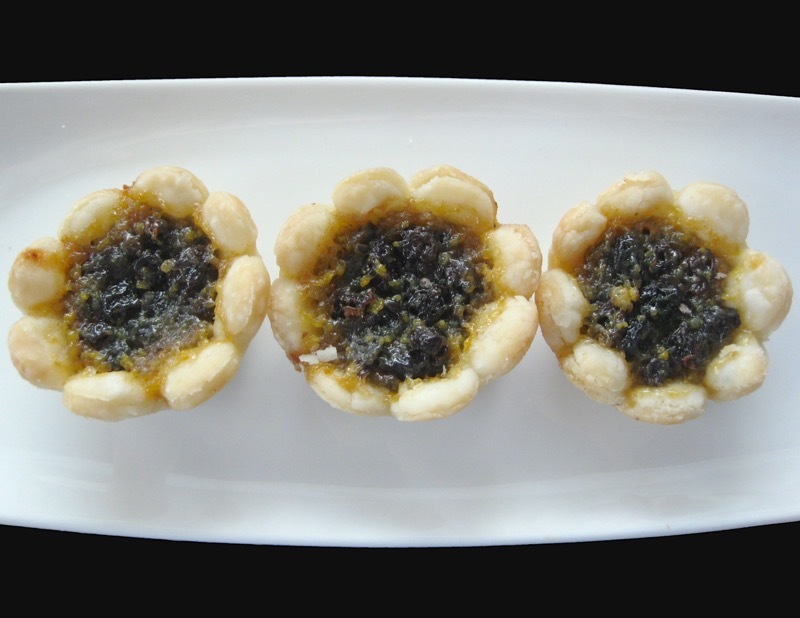 This is the best butter tart recipe you will ever make. Grandma Maude got it from her mother who got it from her mother. It is at least 150 years old, if not more, though the original recipe may not have been known as Canadian butter tarts because it did not have corn syrup in it. My Grandma Maude’s mother-in-law received the original recipe from her best friend’s mother after immigrating to Canada in the late 1800’s. Grandma Maude was born in (1898). The addition of corn syrup would add body, volume, and elasticity to the filling, I imagine. Corn syrup prevents crystallization of sugar when making caramels or candy, and as this is a caramel-like filling, I imagine it also prevents sugar crystallization. I also knew my Great Grandmother, but no one had a copy of the original recipe sans corn syrup, though I was told the corn syrup was “just added” to the original recipe. Here we go again, another “Nod to Maude”. Grandma Maude was famous in the Central Alberta countryside where she lived for her Canadian butter tarts. 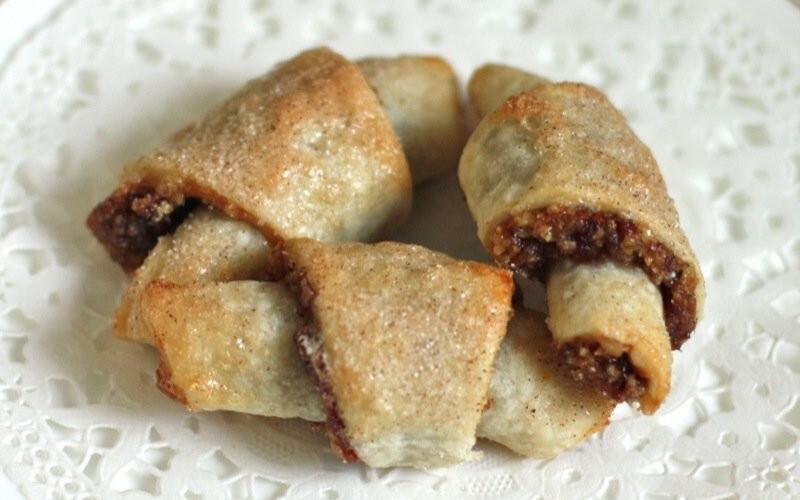 And this recipe comes from Grandpa Harold’s mother, my Great Grandma Hecht. Now, she was quite a gal. Very tiny, and very strong. She tolerated children, and even tried to spend some time with us, but her strict expectations and severe approach ensured we didn’t bother her very much. I have two vivid memories of her. One standing at attention to watch her peel an apple in one piece. It must have taken seconds, but my boundless childhood energy was on overdrive, and I recall it as torture. The adults revered her, and once the peel separated from the apple in one long curly tendril, they all “ooohed” and “ahhed” in unison and prodded us to do the same. (I might have been prodded by a kick in the seat of my pants.) She lived to be 96 and was still head of her household. The second memory has nothing to do with her butter tarts, either. It is my mother’s memory shared with me so many times that I feel as if it is mine. It is a simple story of the importance of drying glasses with a clean dry tea towel. 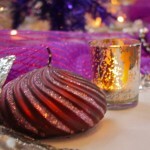 “One must always check the glass in the light to ensure it sparkles like crystal.” Those words I remember. “You don’t have to own crystal if your glass sparkles like it.” And of course, after the story was shared with me, I was destined to hold my glasses to the light when drying them and find myself doing so to this day. Yes, my children do the same. 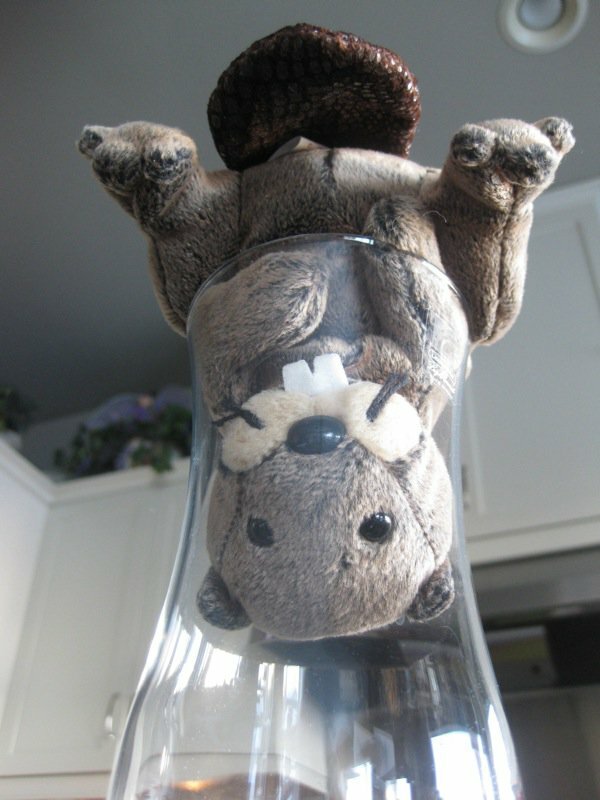 Yup, this glass is sparkling clean, Valerie! 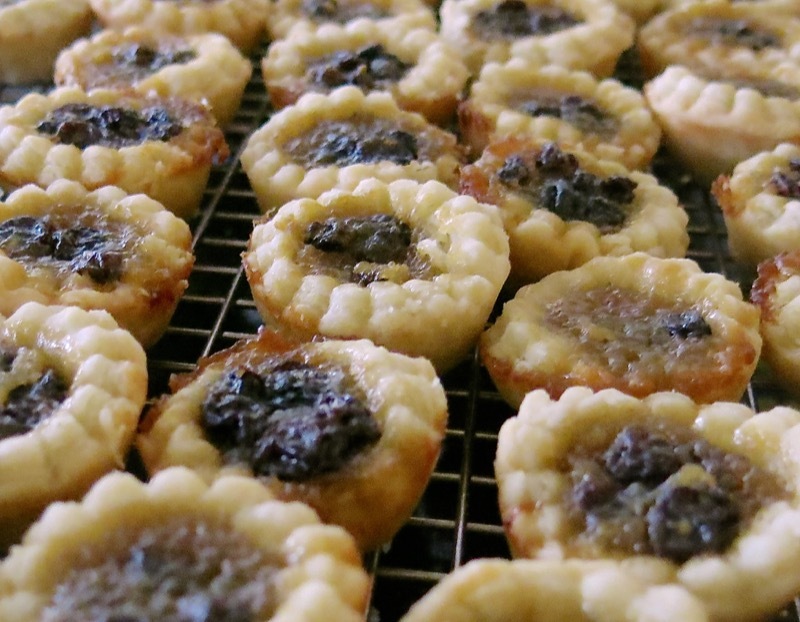 These Canadian Butter Tarts are TO-DIE-FOR. Honestly, I have never eaten another even close to the calibre of this tart recipe. First of all, the pastry is homemade. Who does that anymore? I even had my own mother making mine for me until a few years ago when I realized that was ridiculous. She was 78, and still making my pastry! It was not hard to learn, but, does require desire. 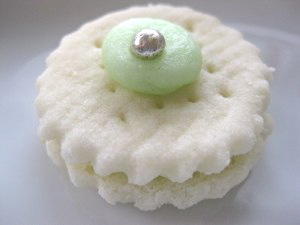 Anyway, the pastry is homemade, and that makes a tremendous difference to the quality of this little bite. Next, the filling is exceedingly simple. 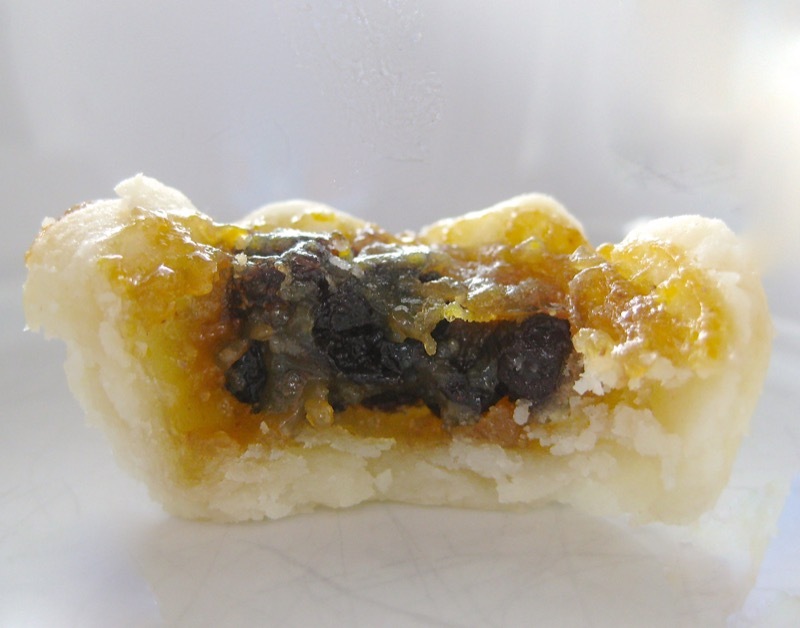 The original butter tart filling consisted of currants, brown sugar, egg and butter and is believed to have been created in the Ontario area in the mid-1800’s according to my Great Grandma. Grandma Maude was born is 1898 and traveled from Nebraska to Canada with her family when she was young. Grandpa Harold Hecht followed the same settlement pattern, and it was his mother, Annie Andersen (she remarried), with her industrious kitchen prowess and eagerness to prepare nouveau cuisine for her family at the turn of the twentieth century that I introduced, above, who received this recipe from her best friend’s mother. It is still true to its original root. 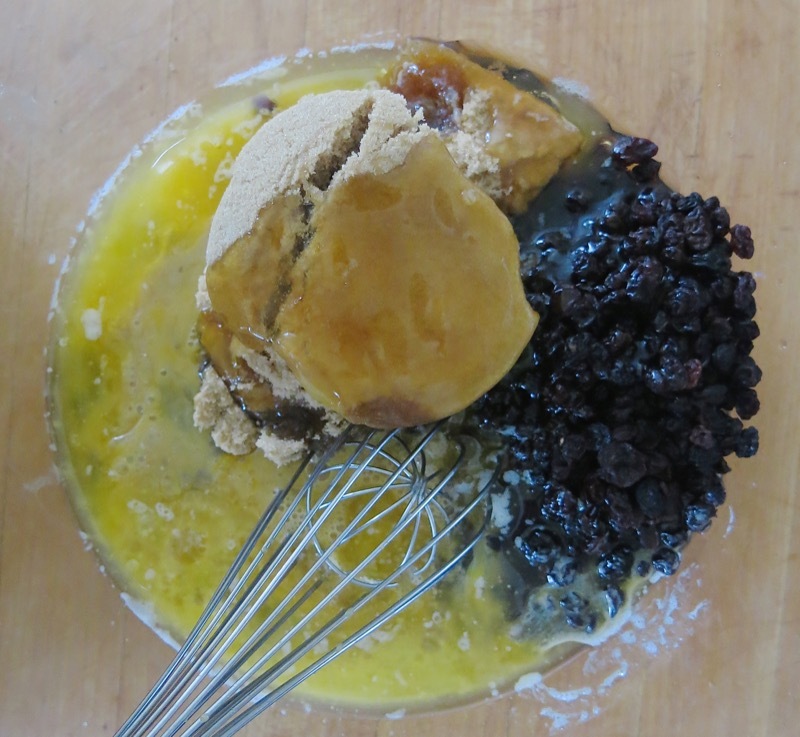 According to my research, the earliest written documentation of this recipe is from the 1920’s and includes currants, corn syrup, and vinegar, as our family recipe does. 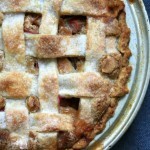 However, there are much earlier versions of a recipe without the corn syrup. 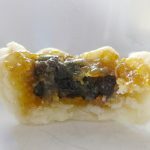 I believe that the creation of corn syrup propelled the popularity of this recipe as the texture, flavour and mouthfeel of the tart made with the new-to-the-market ingredient was likely as addictive then as it is now. The pastry recipe with step by step images can be found on my Tenderflake Pastry Recipe post with Variations, here. 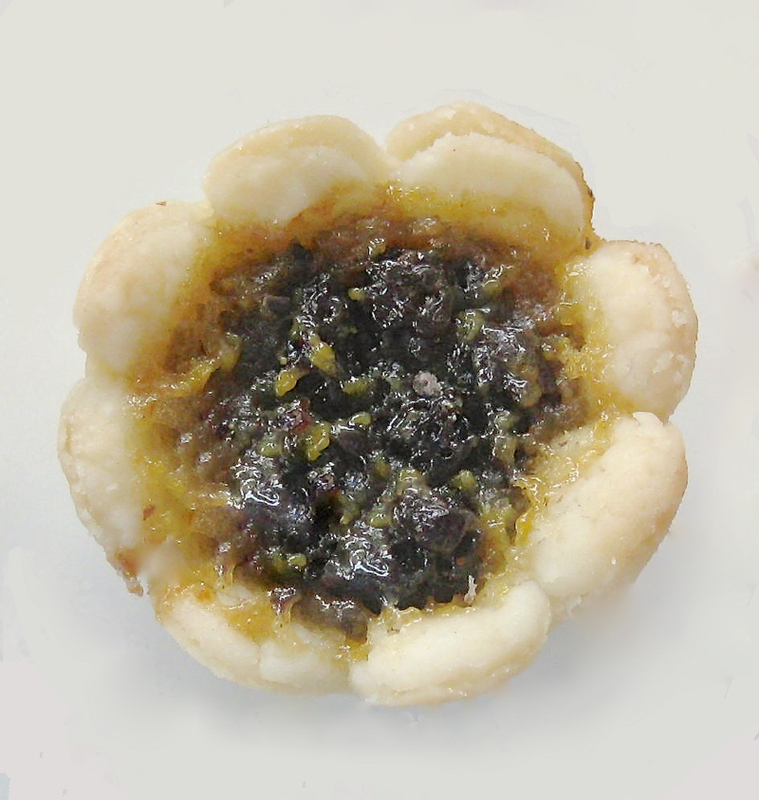 Most often, the currants are replaced by raisins in many Canadian Butter Tarts which I find too sweet, and lacking the tart reference of the currant. 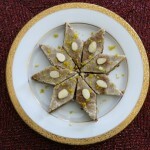 Nuts and a plethora of other ingredients can be added to this recipe, and have been, almost everywhere. Not in our house. Some things must remain pure and there is no need to mess with perfection. 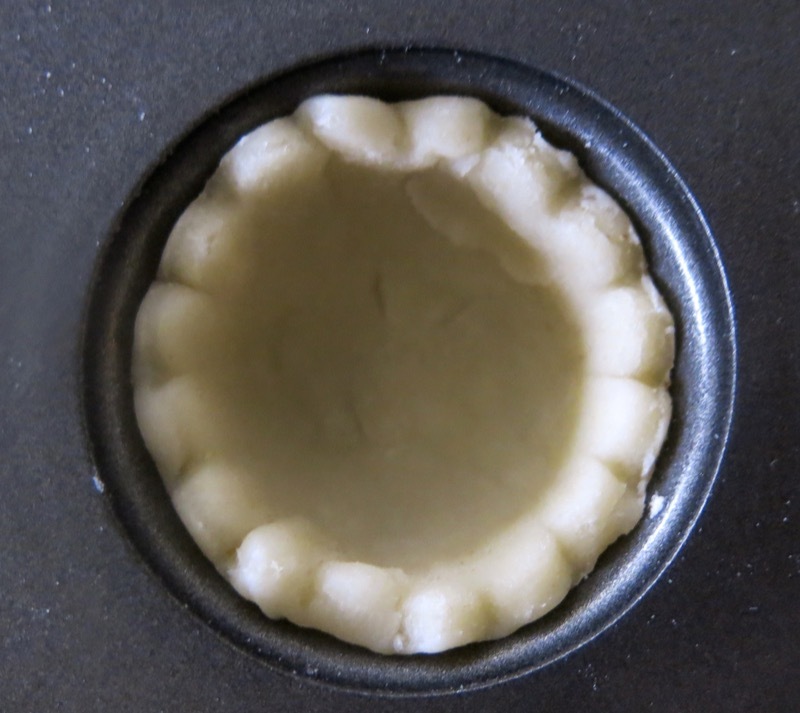 My Grandma’s Canadian Butter Tarts were bigger, and much more rustic in appearance, but I had started to make them small the first day the mini pan was invented. I wasn’t happy with the initial “look”, though. The round little crusts just needed a perk. 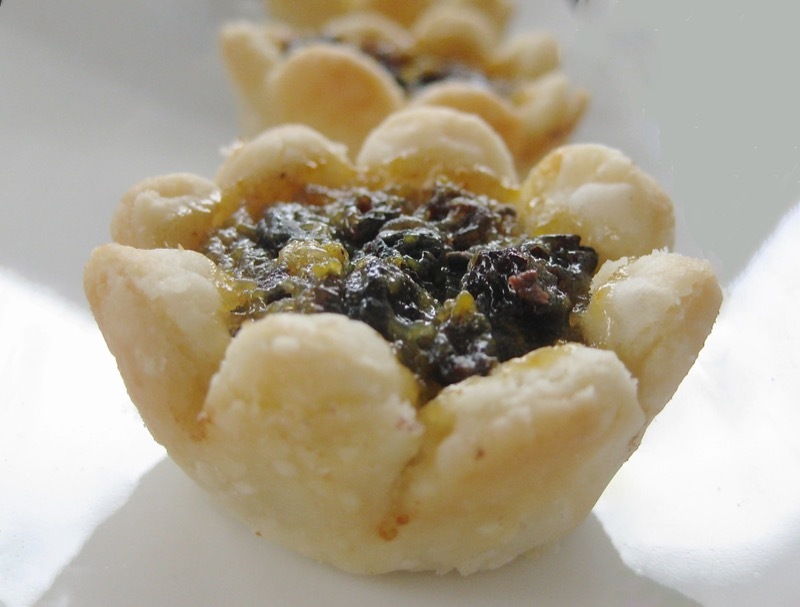 Then, little Katie Halford brought her grandma’s butter tarts to a school party in the early 1980’s. She was in grade one. I was her teacher. They were beautiful. How did your grandmother make the gorgeous scalloped edges on her tart, Katie? I was in my twenties and had no clue.do this? Katie would ask, and the following day brought her breathless teacher a little old (even at that time) cookie cutter for me to “see”. I measured it, and then rustled through my mom’s box of cutters and reigned triumphant. YEAH! And, mom found another at an “antique” sale in Scottsdale AZ one winter. So, had two! Both have been “lost” now, so I am on the search for another! I much prefer the looser scallops made by the old tin cutter pictured a few images down (like Katie’s Grandmother’s) than the one I am presently using. 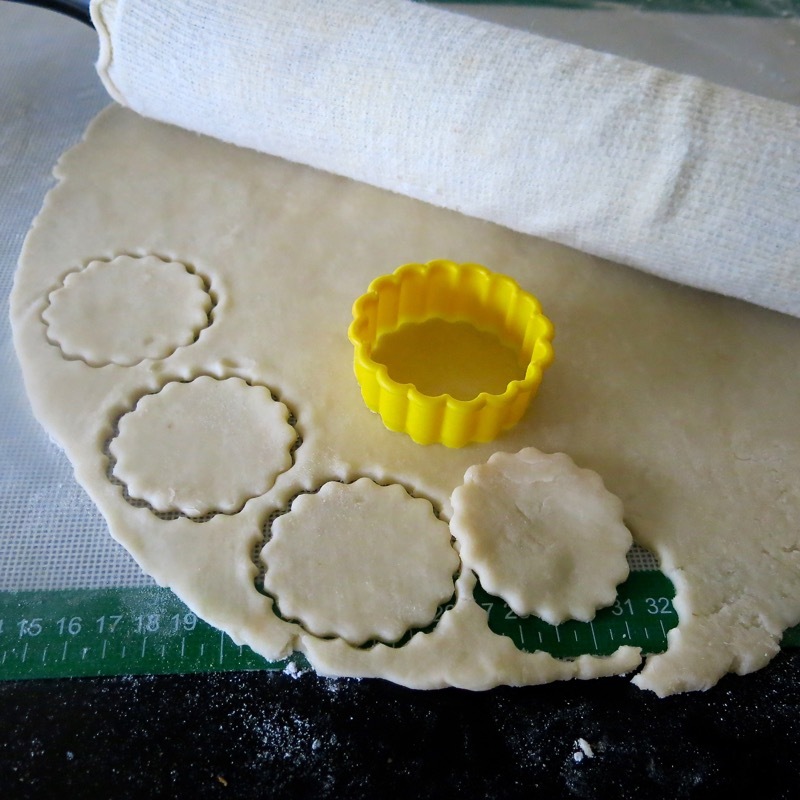 Pastry must be rolled fairly thin when making miniature tarts. The balance between pastry and filling is very important and too much pastry is never a good thing. If you have a cutter like the one above, consider yourself blessed. If you have two, please let me know if you can part with it. I would love to have this cutter again! 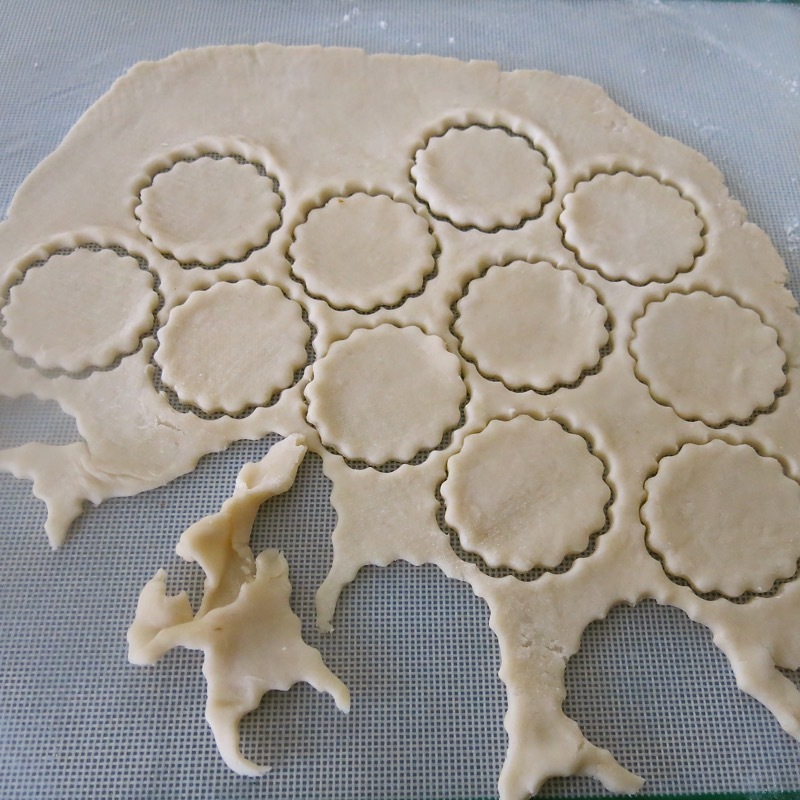 Every so gently push the cut pastry into the pocket. Don’t you agree that the one on the far left is somehow “prettier”? Maybe it is just that I love the story and want my butter tarts to look how they have since my late 20’s. I have mastered the art of not filling them too full as they look terrible when bubbled completely over the crust or if too many have bubbled over too much. Tru to have the pastry peak above the rim of the mold and the filling below it: 3/4 full is good. They will really bubble up during the baking process. There is no doubt about it. I have also learned how to remove each delicate pastry tenderly from the pan about five minutes out of the oven with a sharp small knife. The tarts must still be warm, or the filling will harden to the side of the pan and be impossible to release without breaking the pastry. 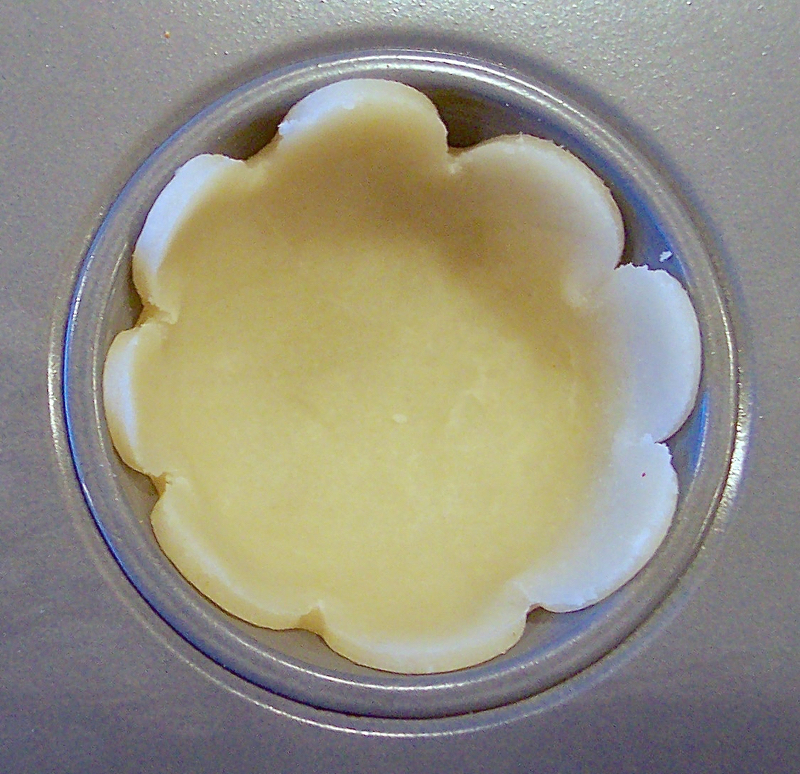 The filling does bubble up so there will be few Canadian Butter Tarts that don’t need a little prodding to loosen them. This is undeniable a sweet treat where looks are completely deceiving. This little messy muddle of browns offers little visual appeal and one would definitely not be drawn to it from an array of goodies on a Christmas platter. Yet, taste it, and you will be hooked. This little ditty isn’t world famous for its good looks. It is all in the flavour, texture, mouth feel and memories that will immediately wrap you in love the first one of the season you try. No one can ever stop at one. No one. Love you so much Grandma Maude! She would be 110 October 2016. 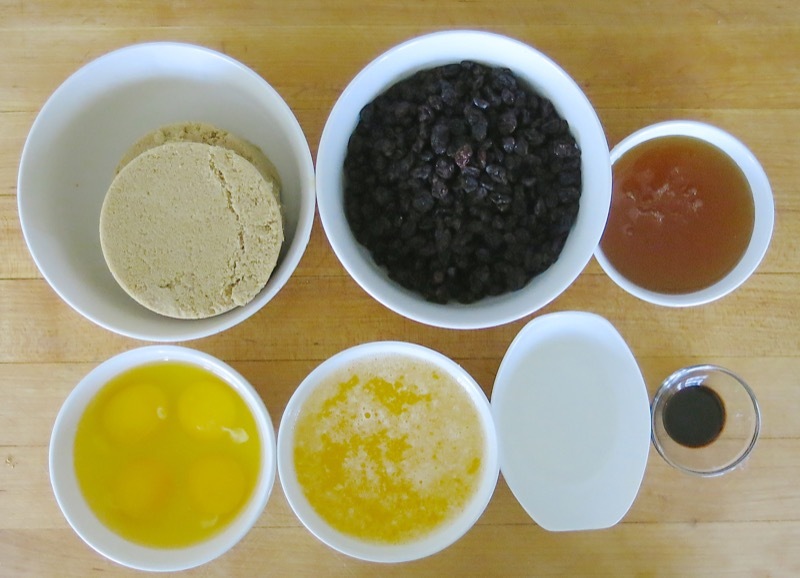 My Grandmother Maude's Famous Heritage Canadian Butter Tarts Recipe from 1869 is true to the traditional version using dried currants instead of raisins. 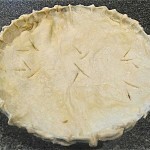 ]Ingredients and Instructions for Tenderflake Pie Pastry Recipe is here with my notes and variations. 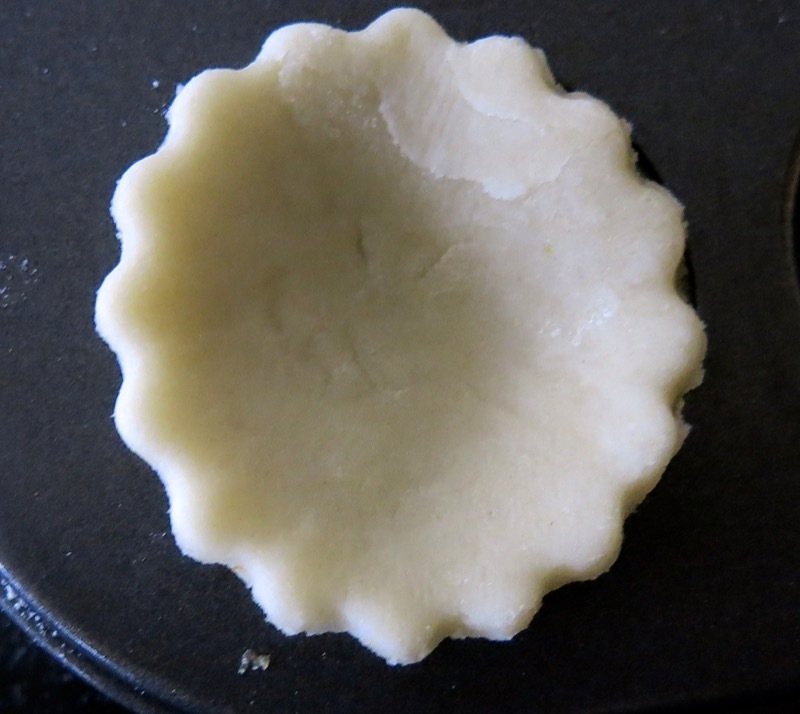 Ingredients and Instructions for Tenderflake Pie Pastry with my notes and variations is here. 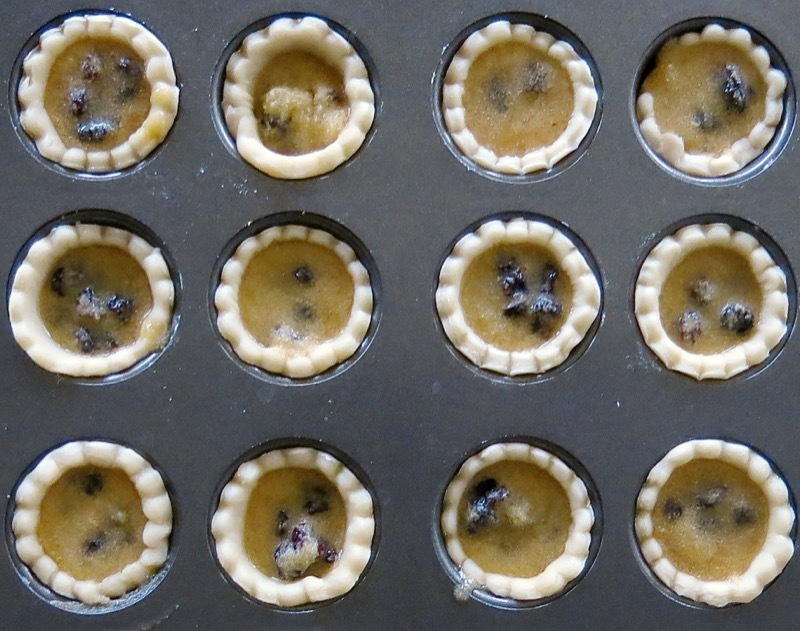 I usually double the recipe for the filling and use a double batch of the pastry (a full pound of fat) and then get exactly 12 dozen miniature tarts. 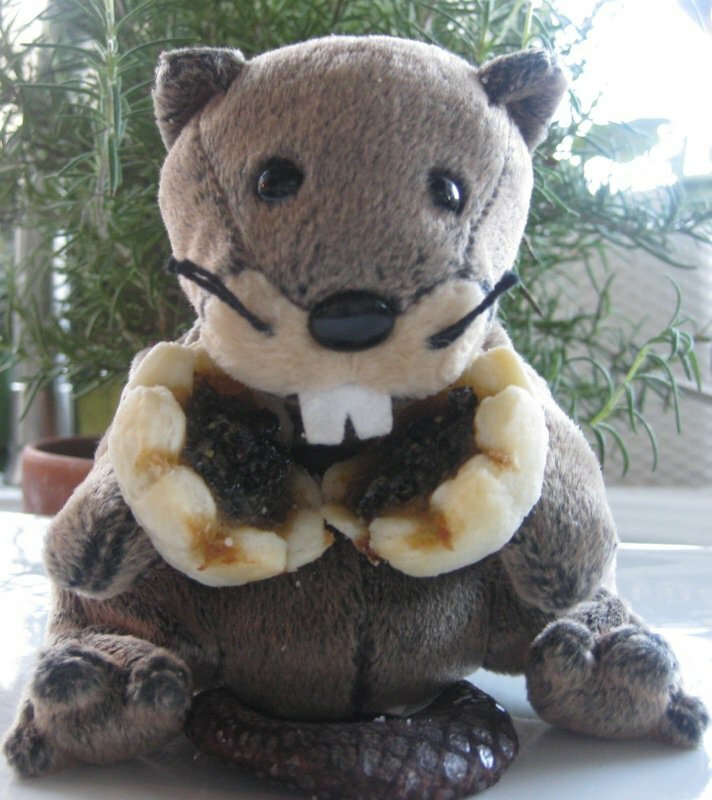 Guess what happens when a little beaver gets a hold of two tarts? These look really nice. I can’t see the ingredients or the instructions for the pastry though. Ah-ha! I knew I forgot something! It is there now! Valerie, I still can’t see those instructions sorry. I am so sorry, Cathy! It is there now, I checked, and double checked on my other computer. Thank you for letting me know! Ahh, that’s better. Thanks Valerie. Having grown up in Windsor, Ontario, I have fond memories of butter tarts. Each Saturday my dad would take my three brothers and I out towards Harrow and there was a small bakery that sold the most scrumptious butter tarts. Rumor has it that the lady previously baked at Buckingham palace so the butter tarts always remained very special, a royalty of sorts. 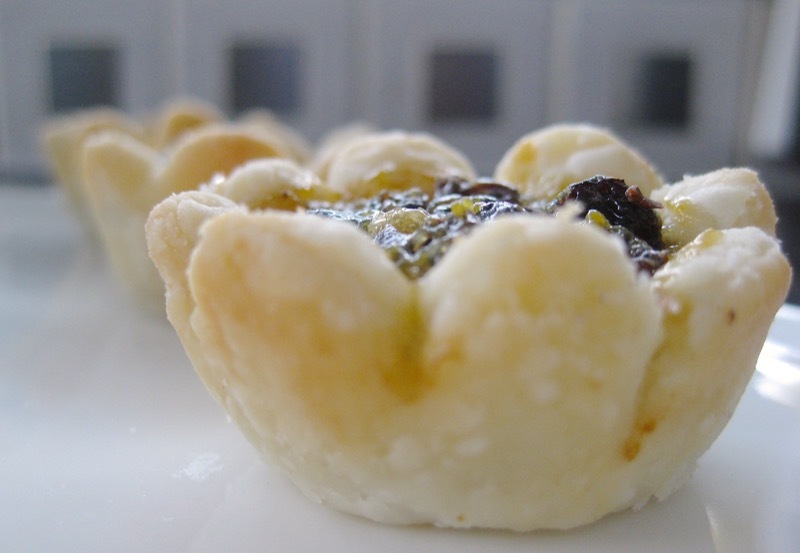 Thanks for sharing this authentic recipe for butter tarts. Can’t wait to give it a try. What a beautiful story, Susan! I am eager to hear how yours turn out, and want to thank you for that lovely little image painted by you for me this morning! 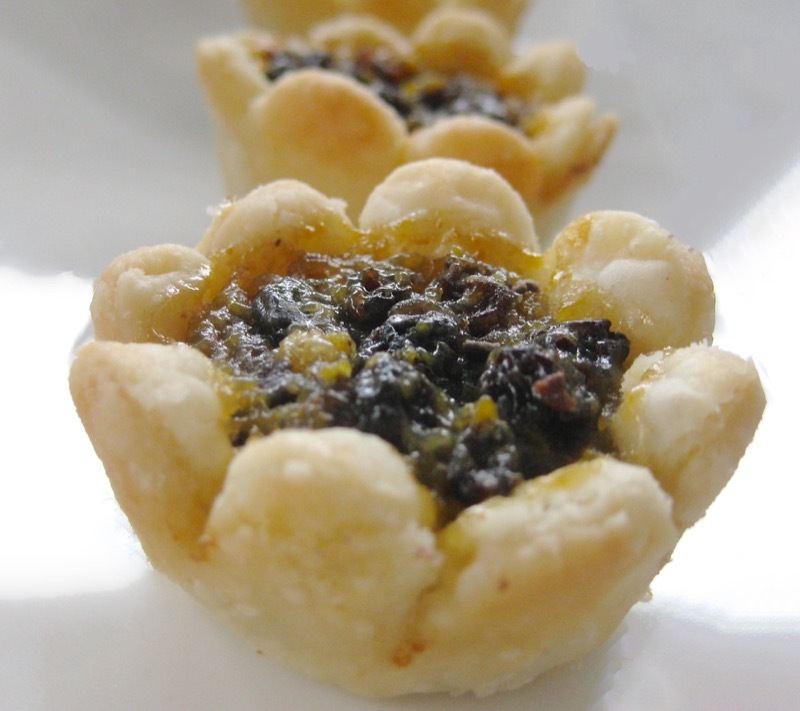 This is a fantastic recipe for butter tarts. 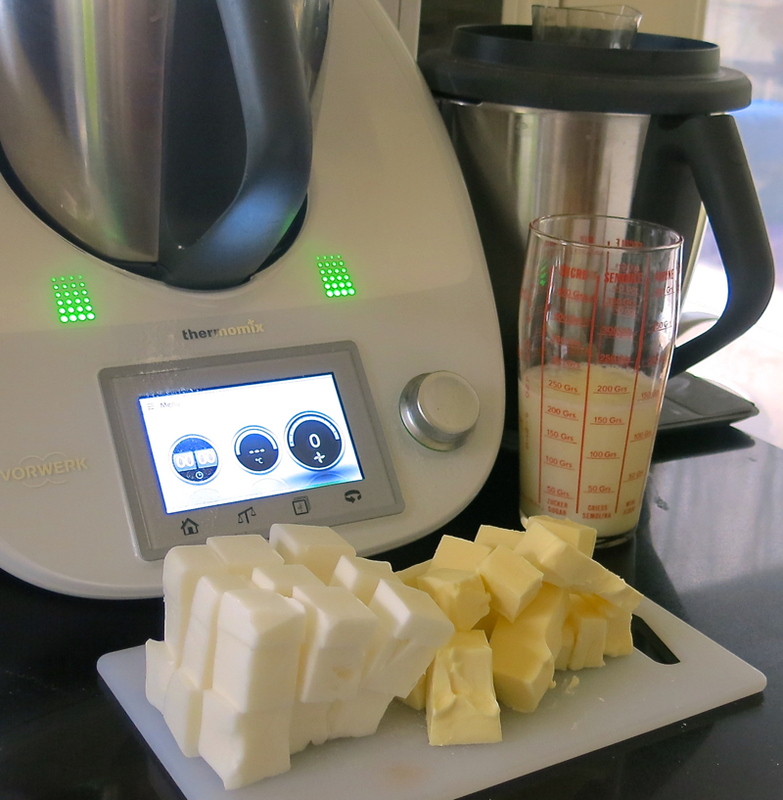 I replaced the lard for butter and it worked just as well. The butter tarts were the first desserts to go at my Christmas dessert/birthday buffet and I had a huge platter of them. 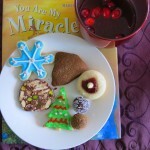 See more at http://www.greeneyedsusan.blogspot.com Thanks for sharing this recipe Valerie. I have fond memories of butter tarts and want to make your recipe for Thanksgiving but I am a bit stumped. One of the filling ingredients says “1/2 golden syrup.” Not familiar with the term and it appears the measure is missing (1/2 cup? 1/2 a bottle?) Can’t wait! BETTY – so so sorry! 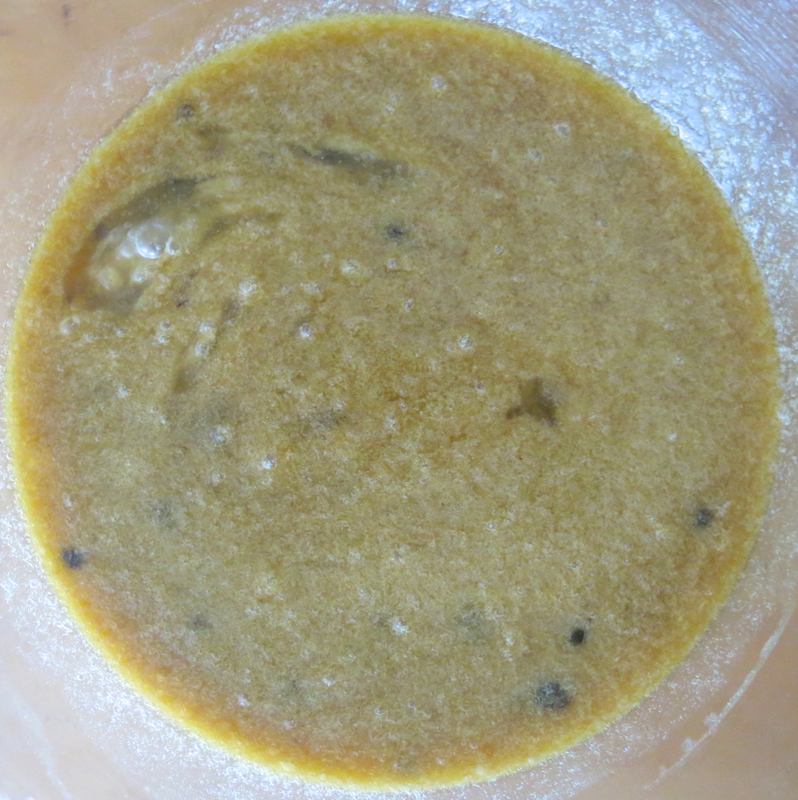 That would be 1/2 cup – and it is corn syrup…. in Canada, we have golden, or white. This is year two for making your mums’ tried and true butter tarts.Thankyou for sharing this recipe.Rarely do I make the same thing twice but this pie is now tradition for me 😉 This year I am shipping these pies to friends and family–they are that good. So Val,any suggestions on how to get this delicioius pie to my loved ones in one piece? The pastry is very flaky and I really have no idea except a very expensive courier! I am honoured that you love these as much as we do! Hi! Found this recipe this morning and trying it out. A comment about the ingredients list that I find confusing: You use tsp. for salt, which is obviously abbreviation to teaspoon. Capital T for vinegar, which I hope is reflective of Tablespoon. and then small t for vanilla. I’m not sure if that inconsistency reflects Capital T for tablespoon or tsp for teaspoon. I went with a tablespoon for vinegar and vanilla. Would you mind editing your post to ensure consistency. For dummies like me, maybe tsp and tbsp are best. More importantly, thanks for sharing. They smell delicious as they are baking. Can’t wait to try one! Thank you for pointing that out. My oldest recipes from 2008 were written without the acute attention I now apply to ensuring easy understanding. I have gone back and revised many, but had clearly missed this one – so THANK YOU! It is now done. Happy Holidays and cannot wait to hear if you love Grandma’s butter tarts as much as we do! Hi! Love your recipe. Which size is the cookie cutters? Thank you. 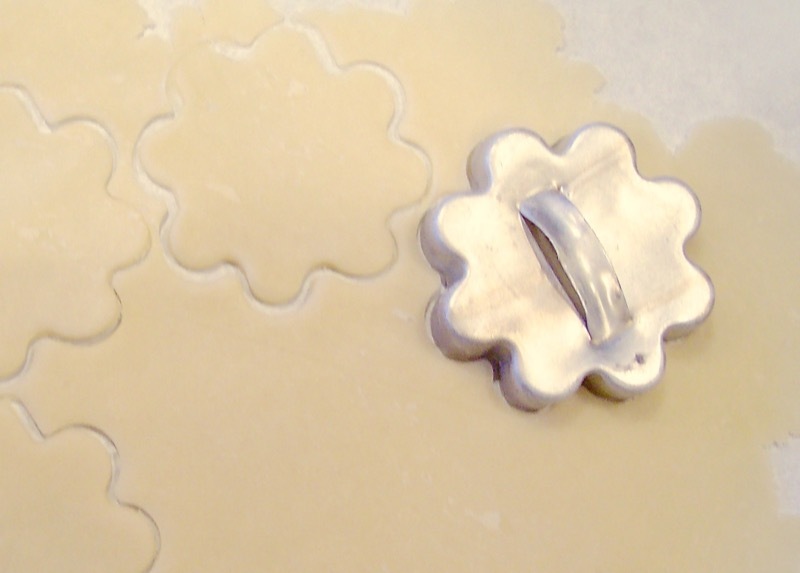 The cookie cutter would be about 2.5 inches in diameter. It depends on the size of your tart shell pan, but that works for my mini muffin pan. We distributed the raisins first (something to keep little fingers occupied in a non-mischief pursuit, I guess! 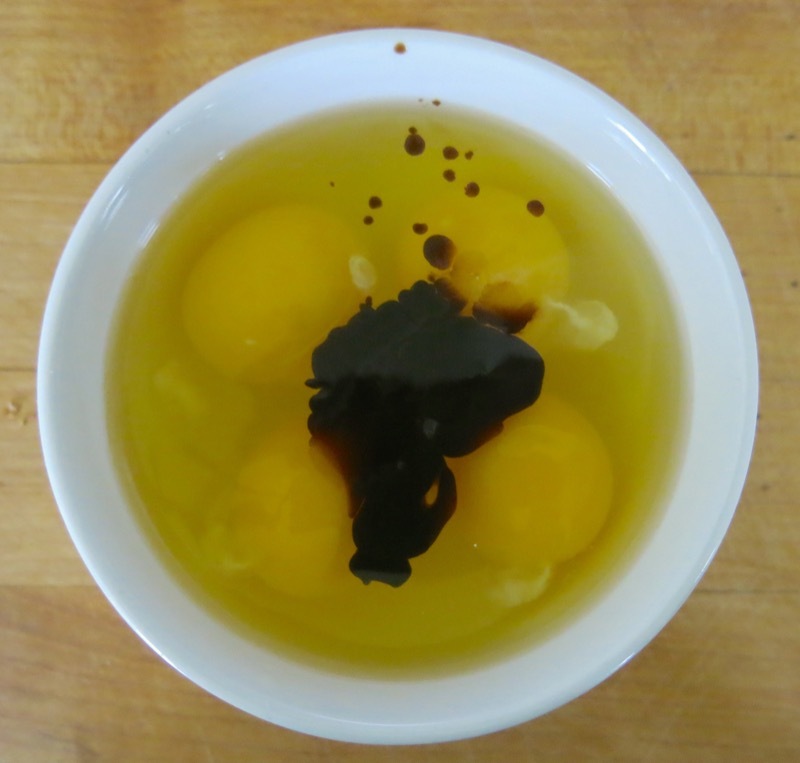 ), then poured on the “filling” … mixed in a pyrex measuring cup. I still remember exactly where I was at the table, kneeling on a chair, when I was first allowed the honor of doing the pouring. This image is priceless. My growing up years were obviously, similar! Of course, you noticed that it was currants in our butter tarts, not raisins… and maybe because my grandmother grew so many currants… but probably not. I am sure she didn’t dry them. Well, actually, not so sure. I will have to find that out, now. I do know she grew red, white and black ones and I loved them all – which is odd, considering how tart they are… but they were so beautiful. 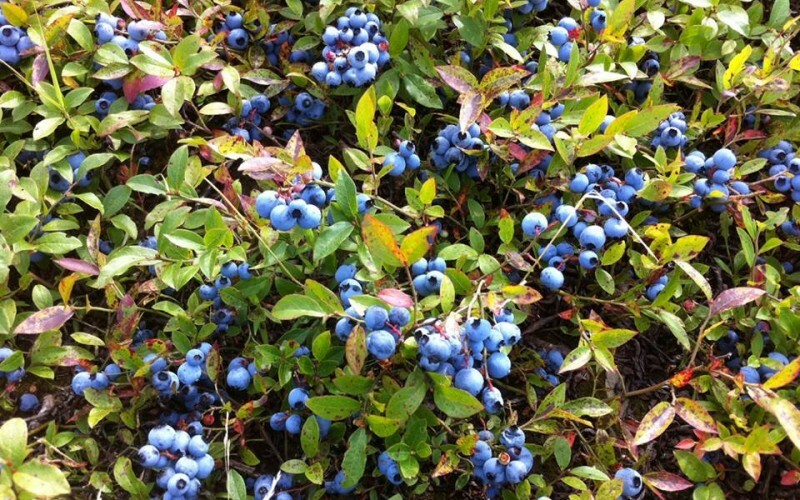 Absolute jewels in the garden – and I have never seen white ones in Alberta since. You use golden corn syrup not Lyles golden syrup? I’ve been looking for a recipe with vinegar in the filling. I think it makes a huge difference. I also love the currants instead of raisins. I had never heard of Lyles until this very second. Thank you! I am now going to look to see where I can buy it. I have never seen it on any of the shelves where I shop in Edmonton, Alberta, but do see it is made in the UK and sold in Canada. I always look to find something made in Canada (which neither of these are) then, GMO free and ethically made with the purest of ingredients. Pretty tough when buying a golden syrup. Haha. I see Lyle’s is considered “the best”, but have to read a label to learn why. Thanks so much for the tip! I am on it! You will love this recipe. It is truly the best in my humble indoctrinated true to my family ties and recipes opinion. 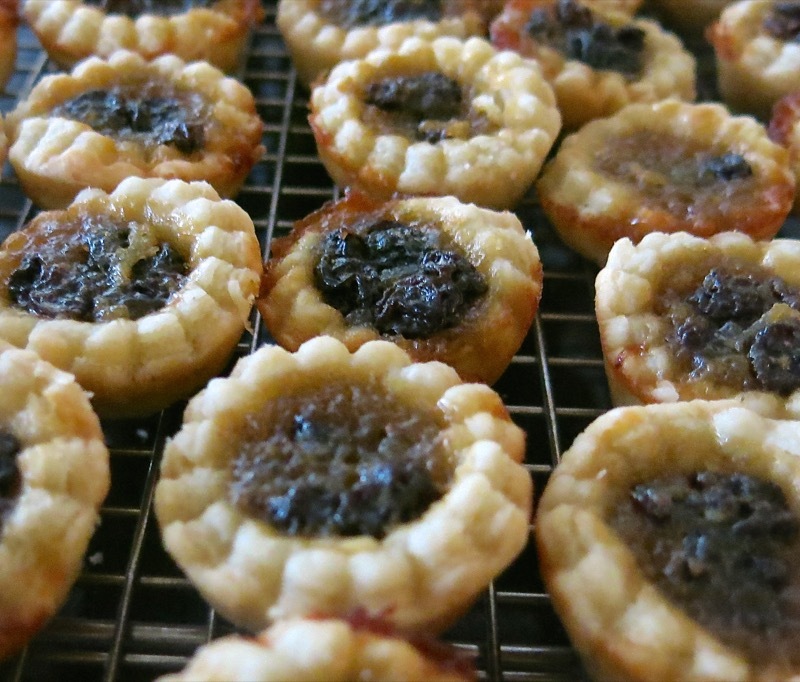 I have very fond memories of making these butter tarts with my mother every Christmas and have never seen a recipe since that called for currants. Since most of my mother’s recipes have been lost, it was wonderful finding this one and I’m making sure to save it so it can contiue to be passed on to my family. 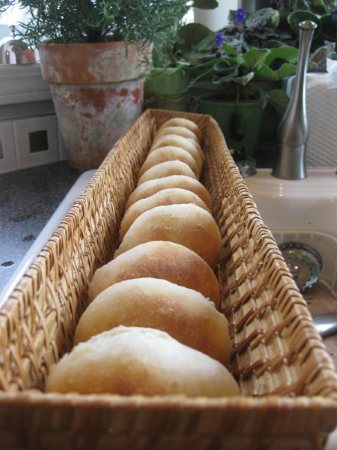 She always told me that this recipe was handed down through her family for a number of generations. Thank you for bringing my Mom to the forefront in my memories today. Thanks, Mary Lou! 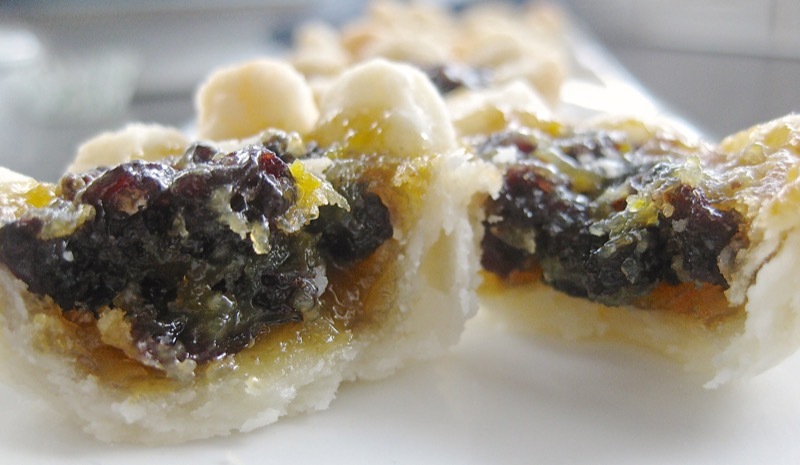 You know the traditional Canadian Butter Tart is made with currants. So many don’t know that, but we had access to these long before raisins!. 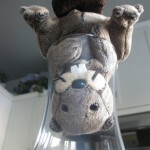 Happy Canadian Thanksgiving to you – and many more Happy Butter Tart memories! Can I use pure maple syrup instead of corn syrup. No, The corn syrup is integral to the authentic Butter Tart. 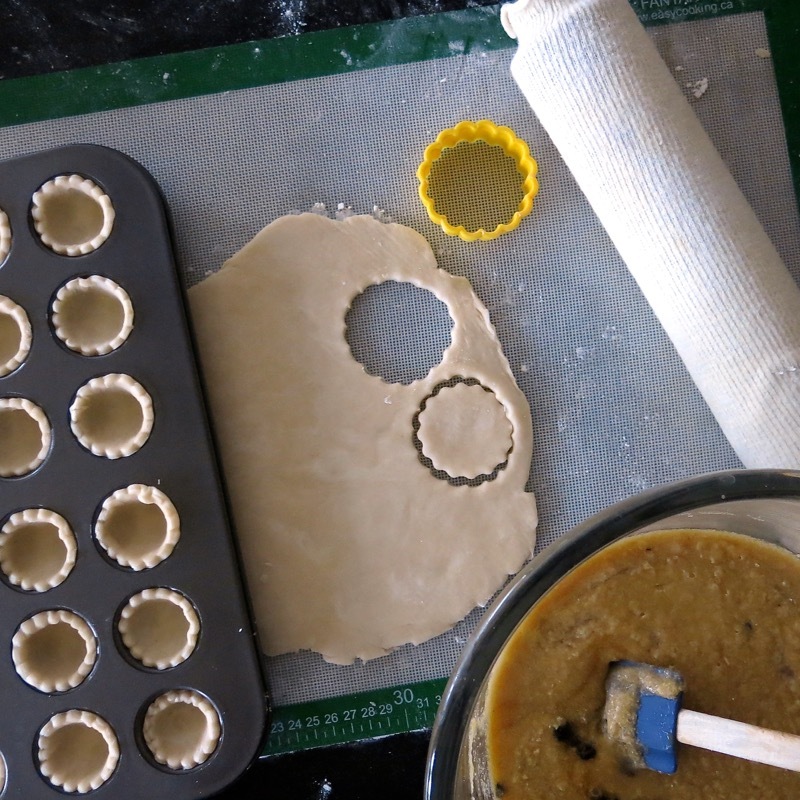 Don’t mess with the traditional recipe for the buttertart!